Southwark has undergone waves of change throughout the 20th and early 21st centuries, particularly in the north of the borough. These waves of change present real problems for anyone looking back at historic images because it can be difficult to establish exactly where the images were made. A good example of this is presented by images of Canon Murnane Road which are to be found in the John Harvard Local History Library. Canon Murnane Road looking roughly west. 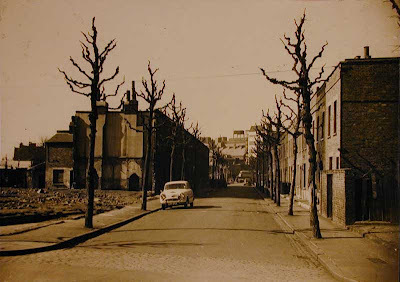 Canon Murnane Road, oblique view. 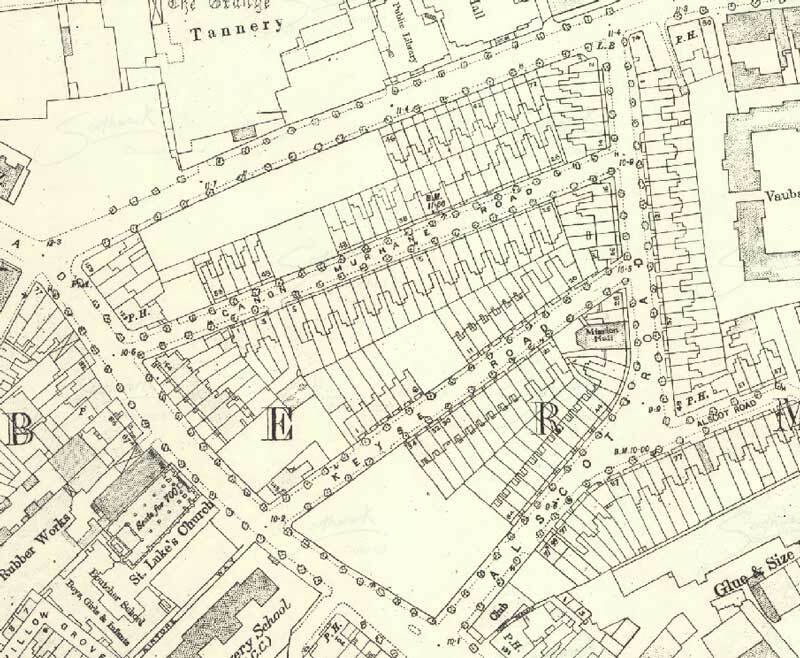 Canon Murnane Road doesn't appear on the current Streets List for Southwark but if you look at the 1936/52 mix map on Southwark Council's website, you will eventually find Canon Murnane Road running roughly east/west through what is now Spa Park. 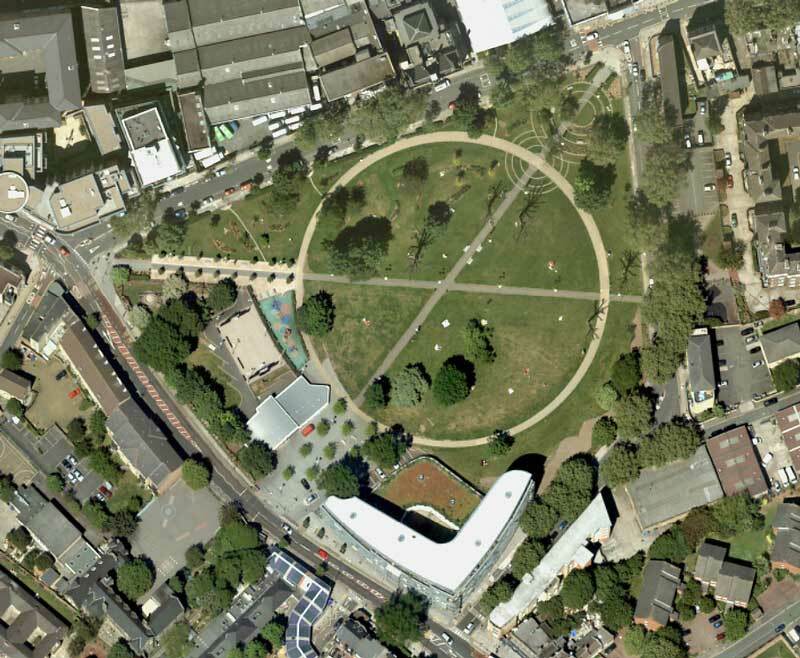 That map will also show some of the housing visible in the images above. 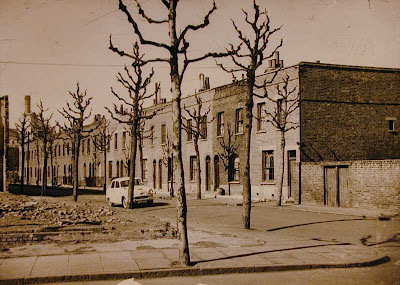 Local Authorities, particularly in large cities, have always been involved in housing and Southwark was no different. 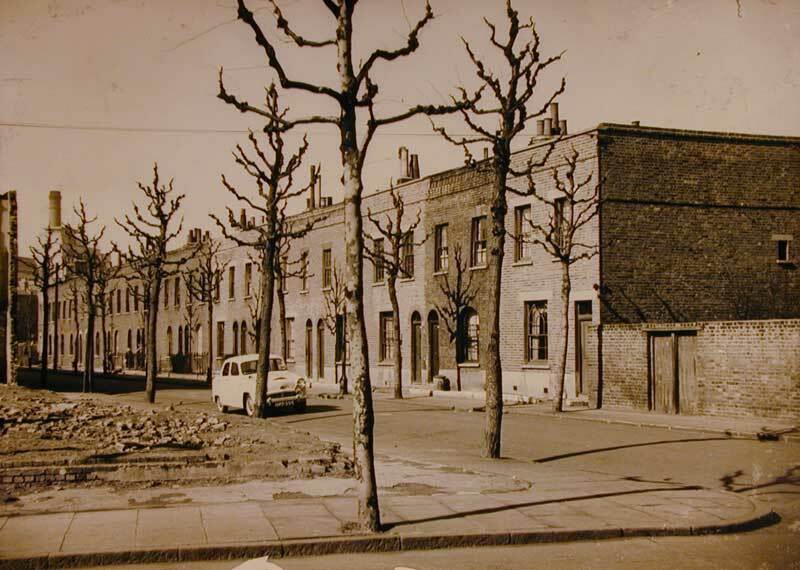 In their efforts to improve the standard of housing, Southwark (or its constituent Councils pre-1963) used Compulsory Purchase powers to buy and clear sub-standard housing and that was the case in Canon Murnane and the adjacent Keyse Road. The housing was CPO'd, the roadways were 'stopped-up' (ceasing to be public highway) and the resulting land was used to create Spa Park. 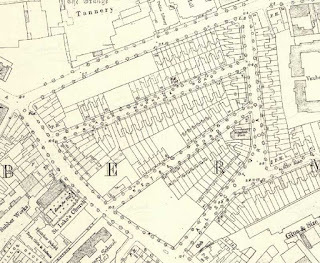 When you know where Canon Murnane Road was located, you can look at the first image above and see that the Alaska Works (originally a cold-store) are visible at the far end of Canon Murnane.